So Capello walks from the FA, in a serendipitous sequence of events in which Our ‘Arry, until a few hours earlier about to get banged up good and proper, rises majestically to become the people’s favourite to manage England to a glorious footballing summer expedition to the lands between the Baltic and Black Sea. Or if you’re John Terry, between the Baltic and the “f***ing Black c*** Sea” (allegedly). It’s been reported that Capello felt undermined when the FA removed Terry as captain, that the FA stuck by their decision and Capello resigned on that basis. That’s all fine, but what was lost somewhat in the news I’ve been listening to today on 5 Live in the car – Reidy, Shilts, Pleato, Henry Winter-y and so on – is that this comes down in large part to Capello’s misjudgement of British society and the 21st Century social mores here. Capello wasn’t here for Britain’s journey from widespread unthinking racism – my Mum’s 1940s school human geography textbook is jaw-dropping – to its now equally widespread and infinitely better zero tolerance for racism. Indeed, some people who were actually here missed it too, particularly those living away from the big urban melting pots and whose formative years were before the large waves of immigration of the 50s and 60s. So Capello looked at the trouble over John Terry’s alleged racist comments towards Anton Ferdinand and saw only a distraction from the proper business of football management. He used the maxim of “innocent until proven guilty” to avoid engaging with the problem. The maxim is not of course the end of the story when someone is up on criminal charges. When charges are brought, the legal procedure around preparation for trial kicks in. The requirements of this inevitably put accused people temporarily in a different position from everyone else, innocent though they may be. And in most other professions, the awkwardness of this necessary state of pre-trial limbo is recognised through people being suspended from their duties until the case is heard – particularly if the case relates to their professional conduct. It certainly happened a lot to Starsky and Hutch (though they were usually given 48 hours to clear their names and Capt. Dobie helped them on the sly). Capello is a football obsessive though and wider society’s non-footballing concerns, including the machinations of the courts, perhaps trouble him little. When he sees something like the Terry-Ferdinand incident, he asks himself only whether it affect Terry’s ability to play well at centre-half; not whether Terry may harbour unacceptable attitudes. Perhaps we should admire his focus. But Capello seemed also to overlook the impact on the morale of other players in the team of having Terry as captain. That is a football team management mistake and therefore much more surprising. How could he get this wrong? Two explanations: one is about his management style and one about British society. His management style first: he is an old school, autocratic manager. So he perhaps takes “the dressing room” less seriously than some other managers might: players will know their place and do what they are told, so why should I worry about petty squabbles? I wonder if he gave much thought to how the black and mixed race players would feel being led out by a man about to go on trial for racial abusing a prominent black player (who happens to be the brother of his central defensive ‘partner’ in the England team). Ironically, this style was actually just what England’s underachieving spoilt brats needed from a football point of view. There were signs it was starting to work too, with the victory over Spain. The debacle in South Africa, I suspect, was the growing pains of a bunch of footballers being asked to do some growing up and those footballers in response turning away and clinging to their over-extended adolescence. Capello carried the can as manager but these are players that, as a group, take precious little responsibility for their own shortcomings. Rooney’s angry rant at fans after one of his dismal performances summed up the mentality: self-pitying and brittle. No wonder they have a habit of making good managers look bad. The second explanation of why Capello didn’t take the fall out within the England camp into account is that I suspect he also didn’t grasp how toxic any form of racism is in Britain. Capello, as well as being an outsider to the culture here, is also of a generation that never fully bought into the “zero tolerance” approach to racism which the under 50s in this country take for granted. And from Viv Anderson of Nottingham Forest winning his first cap onwards, English football has been one prominent area of British culture in which the change of public attitudes to race has been very publicly manifested. England cherishes its reputation as a country that is now genuinely colour-blind when it comes to its footballers, as Luis Suarez has learned recently to his cost. Capello is no racist; he also cares only about the quality of the footballer. But this may have led him to think that race was not important. Racial issues are like rocks just below the surface of British society: if you use your maps and keep a lookout, you will navigate around them fine; but pretend they’re not there and you’ll quickly be holed below the water line. I liked that Capello was divorced from British culture – I felt it meant he would take no nonsense from an under-achieving but self-important generation of players. But this very distance has been the undoing of him. Football doesn’t stand outside society, it is part of it. As an Italian, Capello should have understood that at least. So that’s a long way of saying the FA made the right call in removing the captaincy from Terry, once it became clear his name would not be cleared in time for Euro 2012. 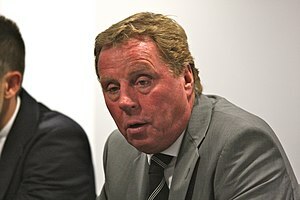 In another twist of irony, Capello’s probable successor Harry Redknapp argued in his trial that he himself was part of a persecuted minority group – Cockneys. He complained to the court that he was being victimised because of the stereotype of East Enders as shadey wheeler-dealers and because his name – ‘Arry – was the archtypal duckin’ ‘n’ divin’ Cockney name. Original defence. 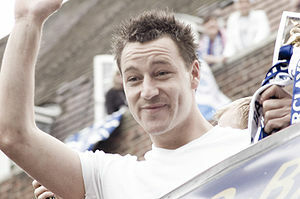 At least John Terry’s unlikely to shout “f***ing Cockney c***” at him – unless he gets dropped of course. Though if Redknapp leads England to another set of performances like the ones in South Africa, I’d guess that phrase won’t be far from the lips of about 40 million football fans from outside the capital. 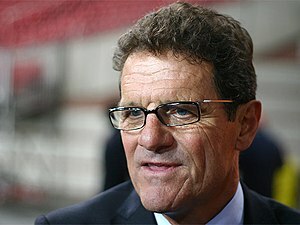 Capello is free now to take on the Northern Ireland job. Wonder if he fancies some rainy nights in Belfast? This entry was posted in 21st Century Britain, All Over The World, Media, Society and tagged Britain, England, ethnic identity, football, race, society, sport. Bookmark the permalink.